The team at Online Marketing in Galway have been hard at work over the last few months to pull out all the stops for what promises to be an amazing event. 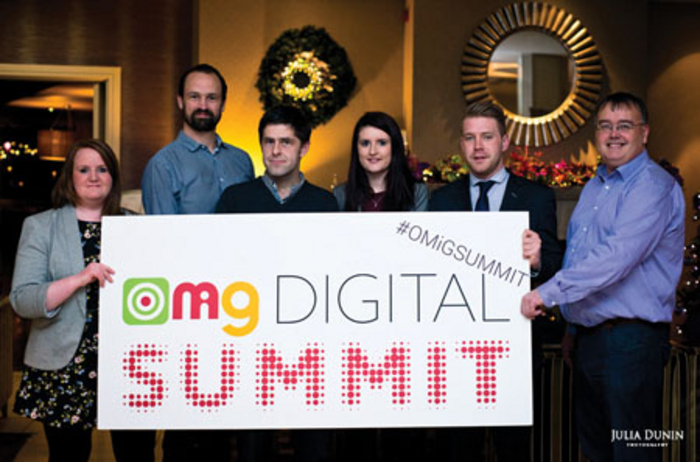 The OMiG Digital Summit will take place on January 29 in The Ardilaun hotel, Galway, from 6.30pm. Since its launch last Tuesday interest in the event has been phenomenal with more than two thirds of the exhibition stands already booked and close to 180 tickets sold. Some of the best digital minds in the country will speak at the summit, and a core objective of the event is to ensure that the west is on the digital map and show that events like this can be a success outside Dublin. The Irish Times, Newstalk, Twitter, and Tourism Ireland are among the companies represented and more will be added in the coming days. The summit is a must for all those with interest in digital, including companies of all sizes. The OMiG team will be working hard before the event to ensure attendees get a chance to voice their questions; popular questions will be included in the panel discussion. Not only will the speakers share how they have got to grips with digital changes, they will offer thoughts on the future. There will also be practical tips on how to write a digital marketing plan for 2015. It may seem like a maze, but you will be encouraged to seek the best platforms for your business. The event will also provide advice on how to combine online and traditional marketing to maximise your business. The OMiG Digital Summit is sponsored by gold sponsor Ireland West Knock Airport, along with Blacknight Solutions, main media partner the Galway Advertiser, online media partners Technology.ie and Advertiser.ie, host The Ardilaun hotel, and event partners Staunton Media and Sound to Light. Tickets are selling fast so don’t be left out, start 2015 at the top by attending the OMiG Digital Summit. For more details see www.galwaymarketing.ie/summit/ or follow @GalwayMarketing and the hashtag #omigsummit on Twitter.